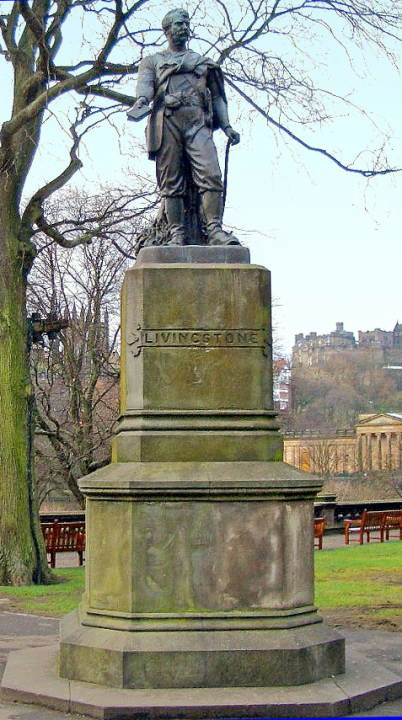 As testimony to the great explorer's fame, the monument has only the single word "Livingstone" inscribed on the pedestal. Cf. 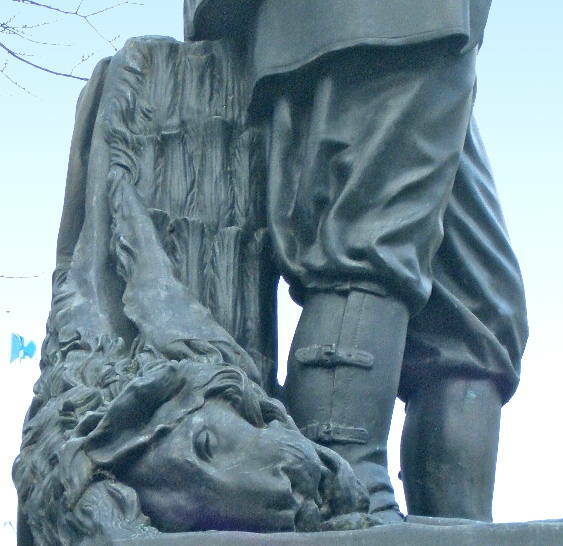 John Mossman's somewhat less dynamic but perhaps more natural sculpture of Livingstone in Cathedral Square, Glasgow. "Item Record 12850" (Capital Collections, an Edinburgh City Libraries and Information Services site). Viewed 7 January 2010. Read, Benedict. Victorian Sculpture. New Haven & London: Yale, 1982.